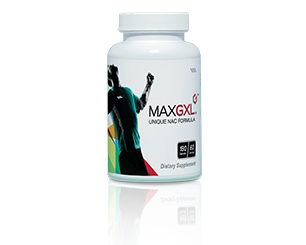 N-Acetyl Cysteine Supports the transport of the very fragile and 'rate limiting' amino acid, L-cysteine through the digestive tract for the production of glutathione and is one of the core ingredients in MaxGXL together with L-glutamine, another amino acid glutathione precursor. In addition, other network antioxidants such as vitamin C and alpha lipoic acid, as well as the dietary flavonoid, quercetin have been added to provide complementary antioxidant support. Cordyceps preserve glutathione based on its known anti-inflammatory properties. Inflammation produces free radicals and other reactive oxygen species that damage cellular components unless they are neutralized by antioxidants such as glutathione. This anti-inflammatory action of cordyceps helps to minimize the use of available glutathione, thus freeing it to perform other important functions within the body. N-Acetyl-D-glucosamine supports the gastrointestinal absorption of amino acids. It is included in the formula to promote the absorption of N-acetyl Cysteine and glutamine. Glutamine is converted in the body to Glutamic acid, one of the three amino acid building blocks for the synthesis of glutathione. We’re proud to present some of the people who’ve felt the benefit of MaxGXL’s glutathione supporting technology. I keep myself in really good health, so I didn’t feel like I needed anything to supplement my lifestyle. However, now that I’ve started taking Max Products, I’ve found that they’re a great compliment to a healthy diet and exercise. I feel more energized during the day and now I’m not as tired during the afternoon. I reached a point where I felt I had no energy and found it difficult to do the things I wanted to do. With the Max products, I feel like I can sustain myself over the long term again. I have the will to exercise again and am happy that I’m working on better health and being in better shape.